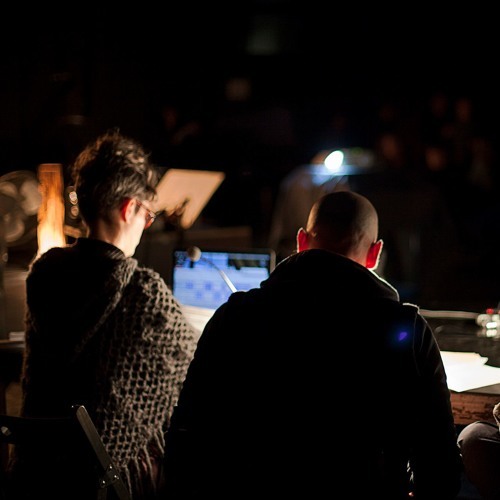 Trialogue Between Three Enduring Fictions: An Unknown Island, A Cannibal, & the AnthrObscene is a play written & performed by Megan Michalak and Giuliana Racco on February 11th 2016, at Hangar.org in Barcelona, Spain. The project was created in collaboration with curator Renan Laru-Ran for "Lightning Studies: Centre for the Translation of Constraints, Conflicts and Contaminations." ISLA: written by Megan Michalak & Giuliana Racco, ANTHROBSCENE: Audiobook en Español de Robinson Crusoe, CANNIBAL: Text appropriated from ‘Manifesto Antropofago’ by Oswalde de Andrade.